What a beautifully colorful design! We love the interweaving oversized ribbons, what a wonderful project! 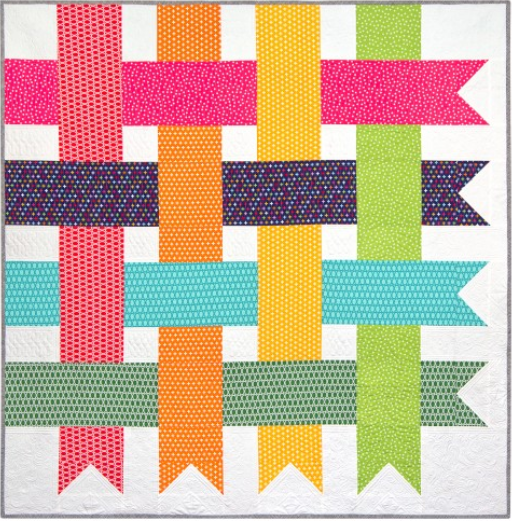 This should be a quick and easy project for any level of quilter, and it features the Remix collection from Anne Kelle, by Robert Kaufman. Enjoy!